In early November, 126 students from grade 5 (accompanied by nine Harker teacher chaperones) journeyed to the scenic Marin Headlands for a two-and-a-half day educational field trip. “All of the students were able to visit the Marine Mammal Center to explore the facility and observe sea lions that were being treated there,” reported Kristin Giammona, elementary division head. Students also worked with microscopes and completed a lab in the touch pool classroom at the Headlands Institute. 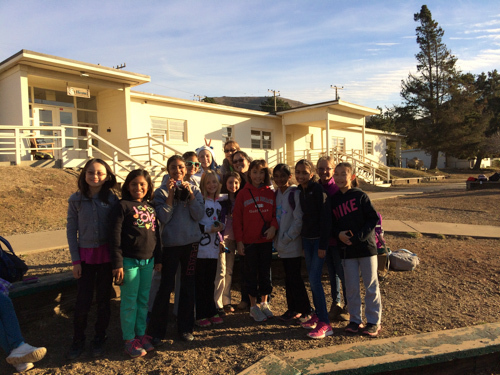 Both students and chaperones stayed in former army barracks located in Fort Cronkite and enjoyed locally sourced meals. The Marin Headlands has been called one of the most unique areas in the Golden Gate National Recreation Area. Along with its historical attractions, the area also boasts varied hiking trails, a dog-friendly beach, and astonishing views of the coast and San Francisco.